Implementing superior guest service at a seasonal resort whose staff expands and contracts each year by the thousands isn’t easy. 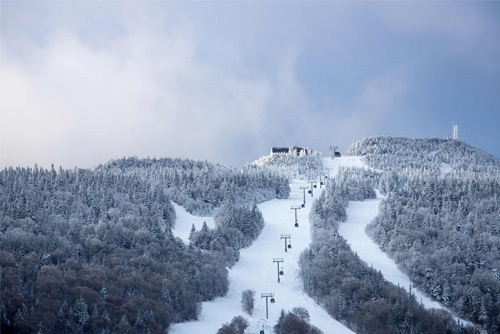 But following a series of ownership and management changes at Killington Resort, the executives saw an opportunity to unify the staff’s approach to guest service and recommit the resort’s focus on engaging guest relationships. This was a bold goal, considering that any service training approach had to motivate both a core group of hundreds of annual staff (many with tenures of 10+ years), as well as thousands of seasonal workers who drop in for a few frenzied, snowy months. Killington turned to Redpoint with one simple request for assistance: “what should we do?” Well…perhaps not so simple, as answering that question required us to execute a deep immersion into their operation. It was our job to assess the situation, identify vulnerabilities and opportunities, develop clear goals, and then implement solutions to achieving them. We dove into the immersion head first with secret shopping visits, three full days of substantive interviews with more than 30 executives and front line staff spanning every department, and extensive study of the resort’s orientation and ongoing training process. All of this exploration yielded several unexpected, undeniable facets of Killington’s guest service approach – both in the way guests were treated and the way staff was trained to make it happen. The neatly-condensed findings presented in our assessment report surprised the heck out of executives (we can’t tell you why…that would be blabbing), and completely changed their lens for guest service training. We were quickly given the green light to implement our recommended program. Step one was to create Killington’s Guest Service Standards and Expectations program, which distilled the essence of the resort’s loosely defined service culture into definable, measurable, and realistic guidelines. Five core tenets were adopted, and each was articulated on a one-page, visually appealing sheet using down-to-earth language with relevant examples. These were strategically split into Mandatory Standards and Extraordinary Standards to account for human nature, holding the average achievers to a base level standard, while showing the potential guest service rock stars where to strive. Also, they were crafted to be used as both orientation handouts AND 15-minute training sessions throughout the season, with a “train the trainer” guide to discussion points, teaching moments, and activities that reinforce the key message.